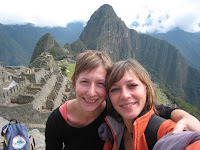 (¯`'•.¸Around the World : Cultures and Tales¸.•'´¯): MACHU PICCHU, the lost city of the Incas. 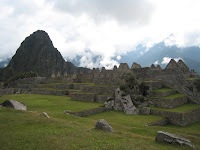 Machu Picchu, situated about 80 Km northwest of Cuzco, is the ancient sacred Inca town. 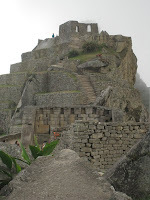 The city, built on a mountain at 2400 m had been forgotten for more than three centuries, when it was discovered by the American archaeologist Hiram Bingham in 1911. Bingham, who was looking for Paititi (the lost city of the Incas, believed to hold many treasures and which has never been found!!! 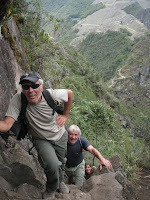 ), started a journey in Cusco through the Sacred Valley of the Incas and followed the direction of the Urubamba river. 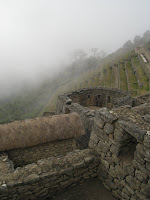 He met a farmer who gave him the information about the existence of some ruins at the top of the Old Mountain (Macchupicchu). 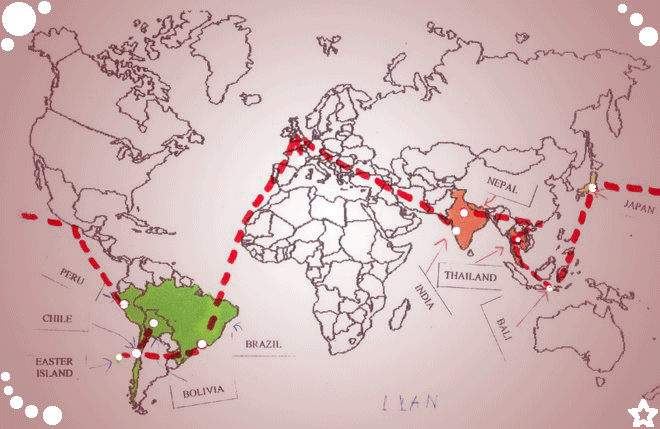 When he arrived, he found two local farmer families who lived there and grew crops in some of the terraces of the city. 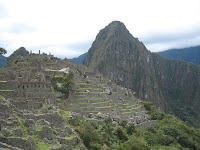 The city was never found by the Spanish, probably because the Incas destroyed the access to their sacred empire. 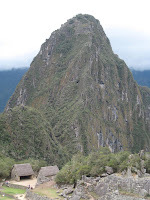 The ascension to WaynaPicchu (the young mountain in Queshua). The constellations of the Incas. The Incas could see animals in the sky : a bird, a fox, a lama, a frog, a snake and the Chakana. 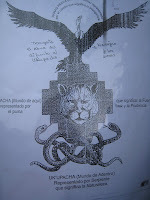 The Chakana is the Southern cross made of three levels: the condor, the puma and the snake, the Incas divinities. Incas believed in heaven (the world of the sky, the sun, the moon and the constellations), the earth (the world of humans, animals and plants) and the underworld (the world of fertility and fecondity). 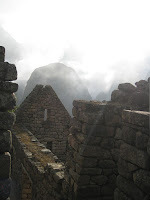 Incas gave ceremonies in honour to the sun, Inti. They made sacrifices and rituals. 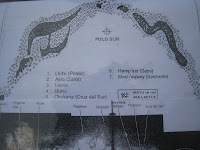 The temple of the sun also had astronomical functions. 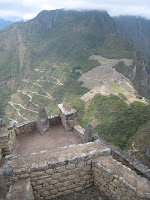 The Incas could see the solstices. During the summer solstice, on June 23rd, and the winter solstice, on December 21st. 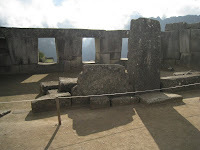 the sun appears through the two windows and illuminates the central stone.